The alignment of Deas’ Brigade is severely disrupted by the movement up the draw toward the Union position. It charges the Union flank as soon as they crest the ridge. 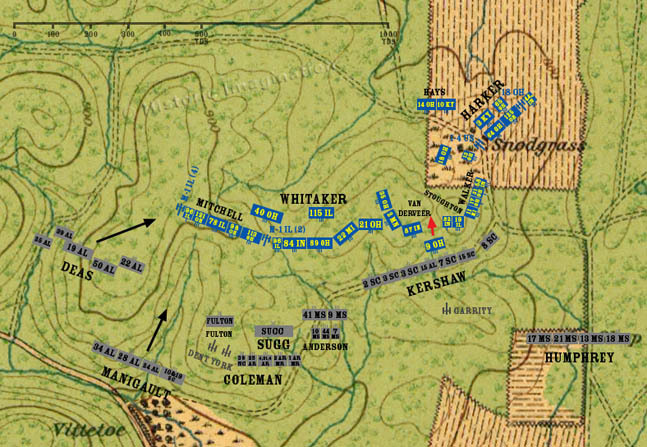 Below, Manigault’s Brigade begins its attack. The 9th Ohio is repulsed. It retreats back up the hill and takes up a position at the draw between Hill Two and Hill One.